So yesterday was truly hitting two birds with one stone! 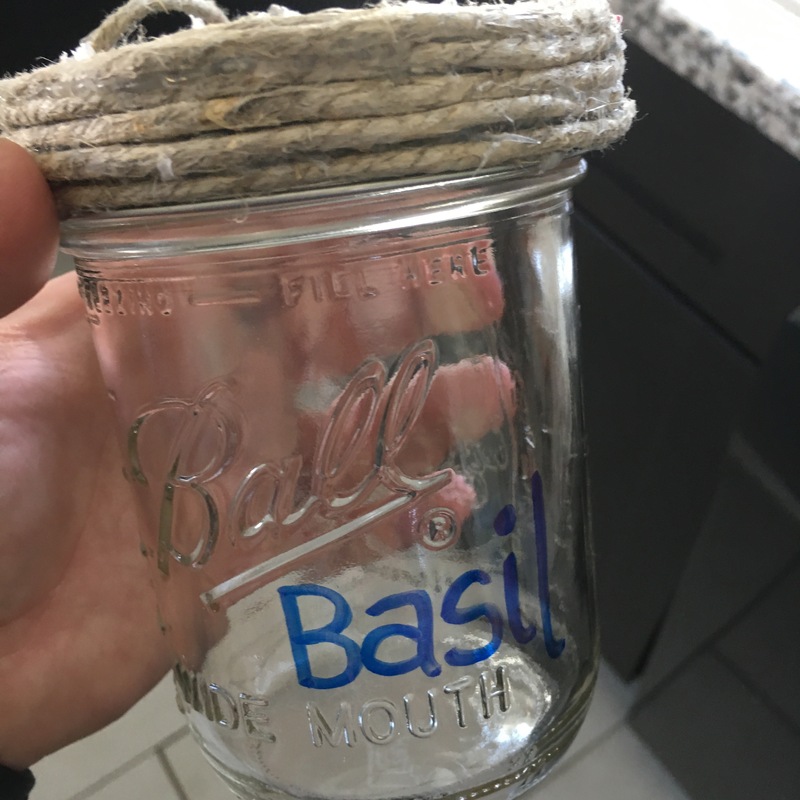 I have been planning on knocking this one off the list for sometime and when I saw the Pinterest task and came across the DIY Mason Jar Herbs I knew that was the one for me. So definitely check out my post from yesterday! 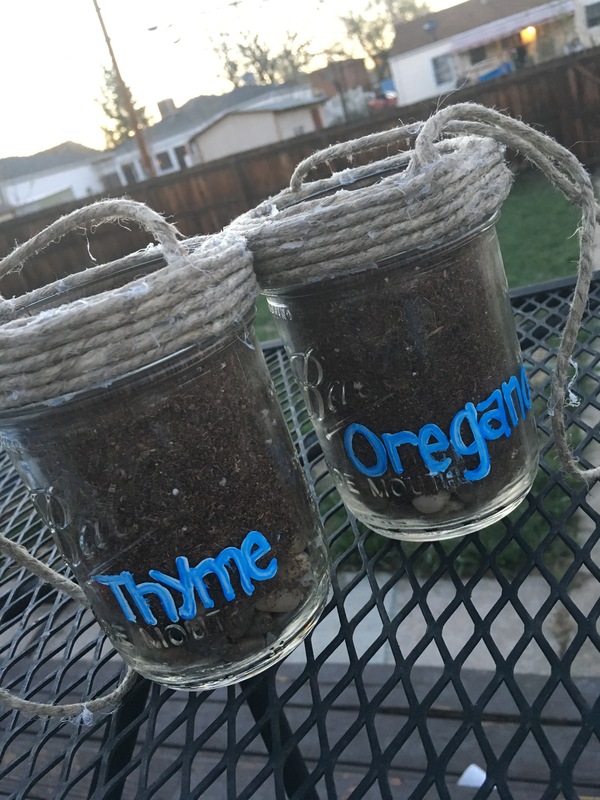 I had so much fun creating an herb garden. 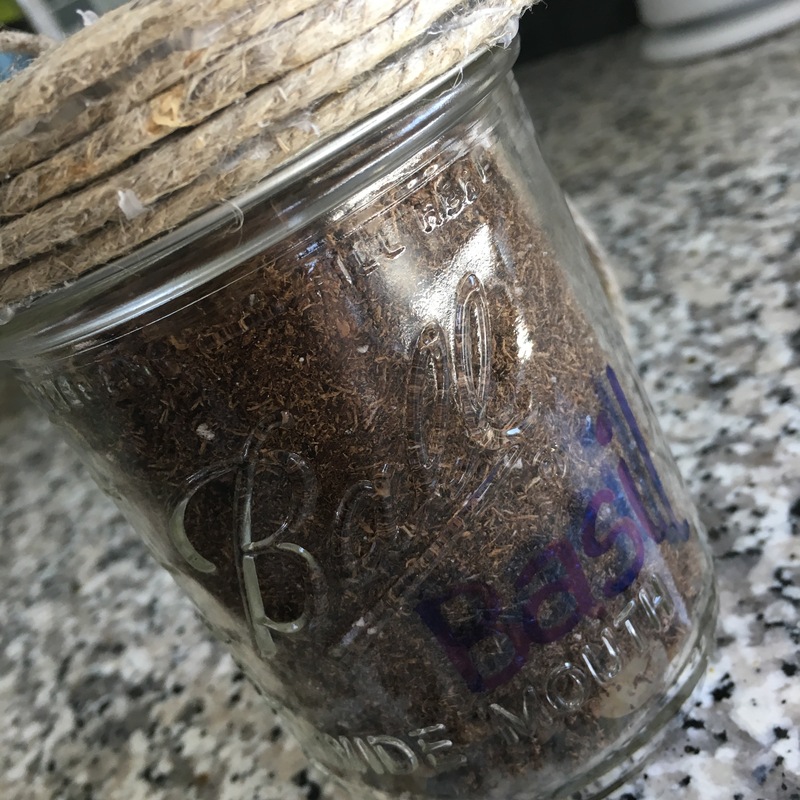 I only have three right now but plan on making and planting a bunch more. 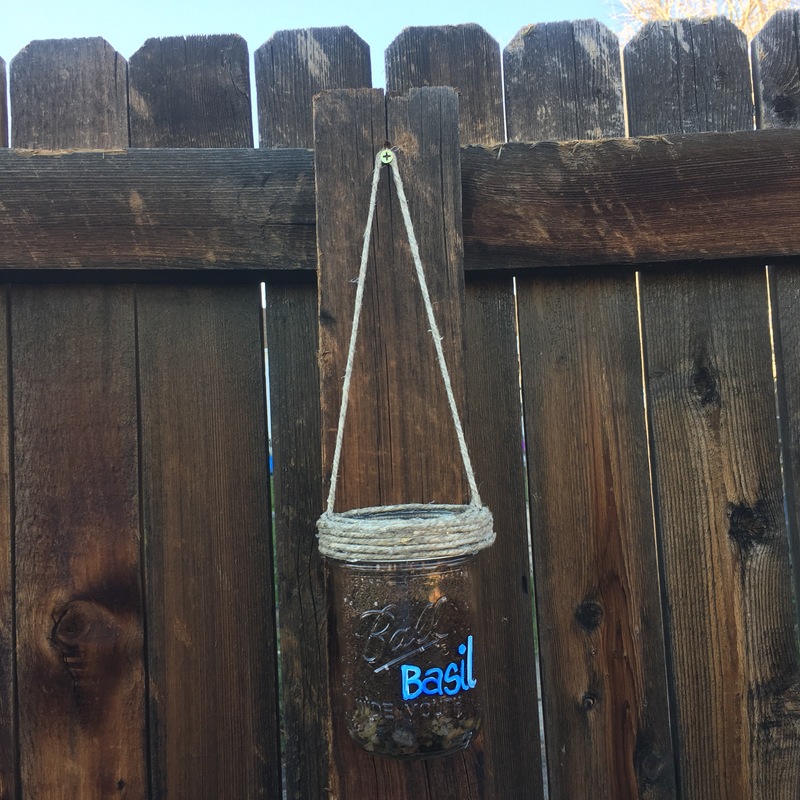 I have been looking forward to getting crafty this year and was super excited to find this little project: Mason Jar Herb Garden. 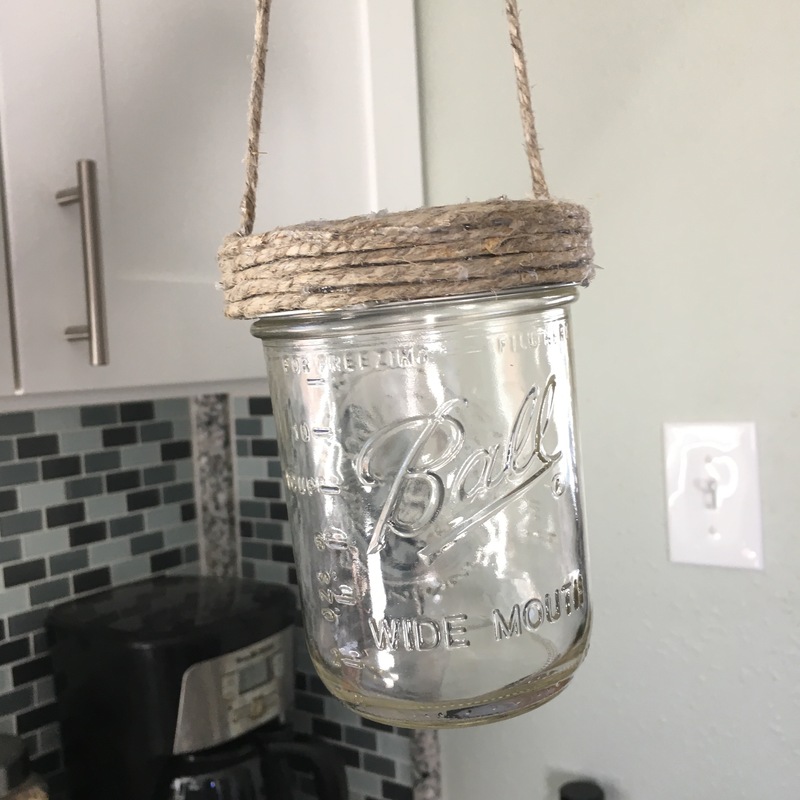 There are a ton of different ways to do it, and a ton of different examples on Pinterest… I kind of just looked at a lot and did it my own way. I’m really happy with how it turned out! Now let’s just hope I get some greens! 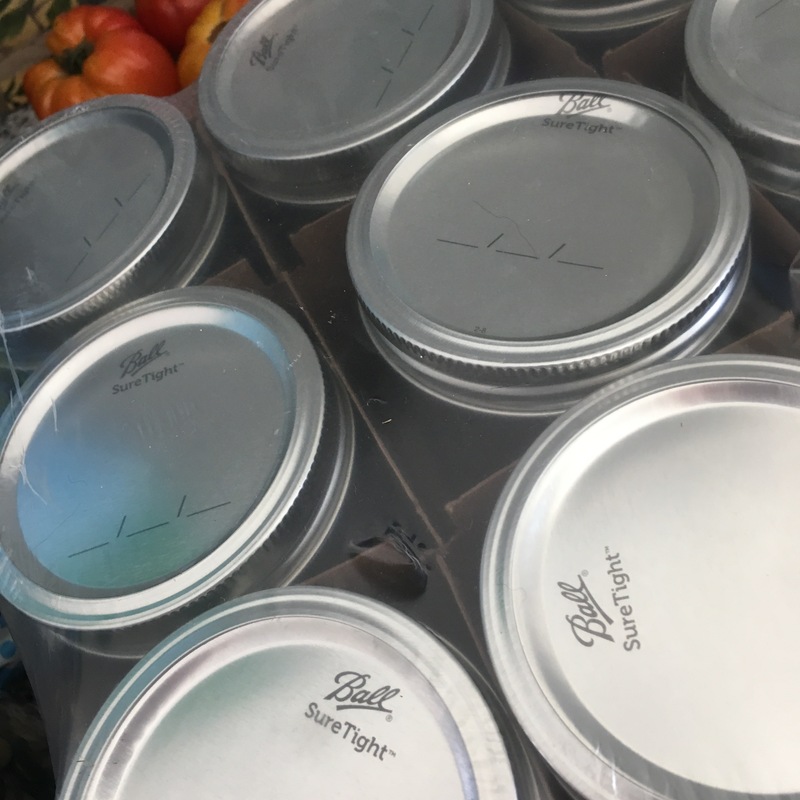 I bought mason jars at the grocery store! 12 for just $8.99! 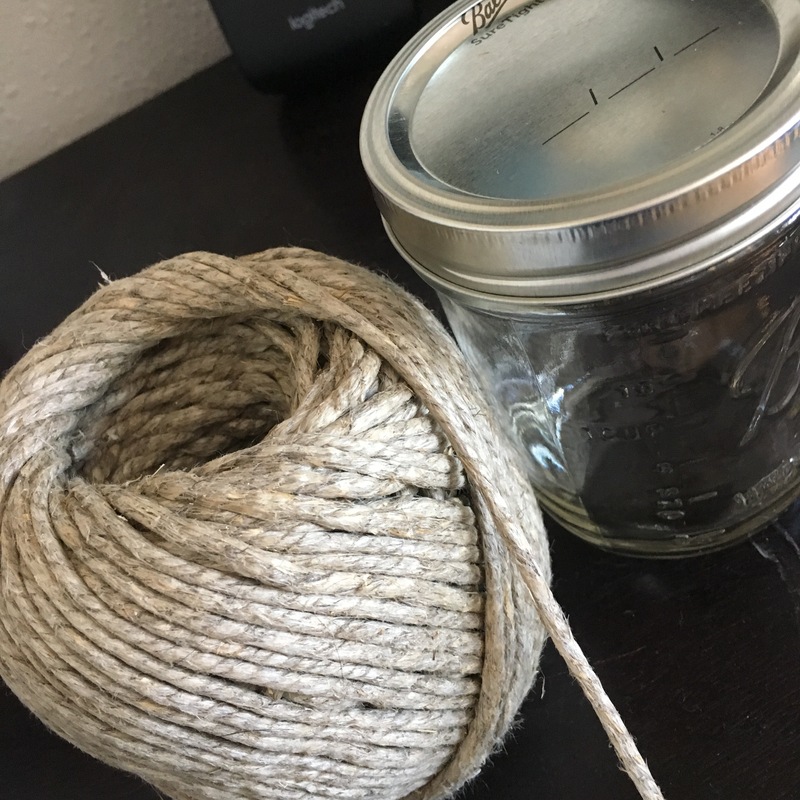 I had some hemp left over from other projects. 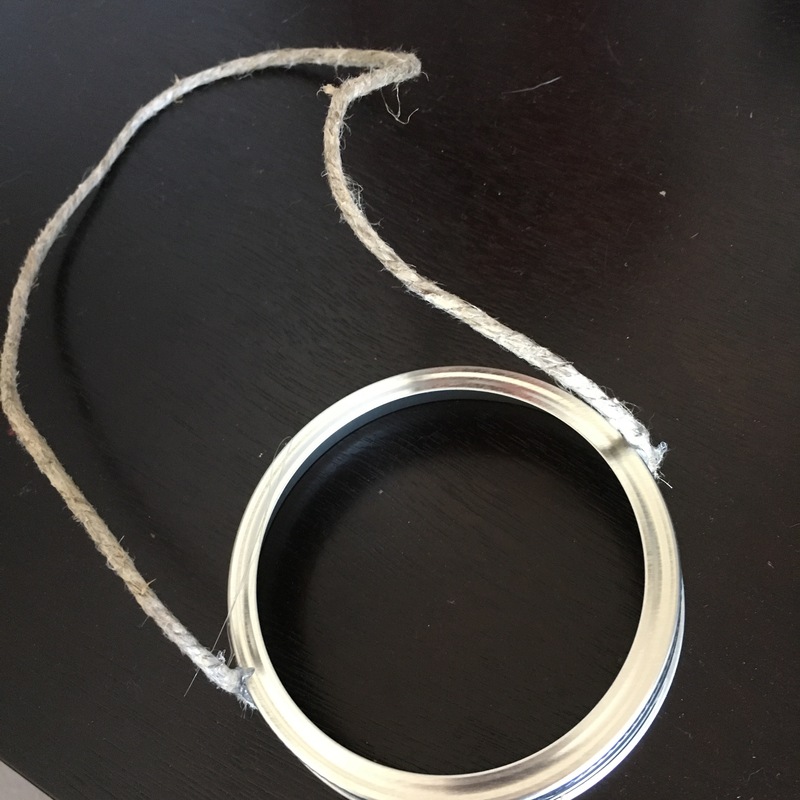 So took a hot glue gun and got to work. 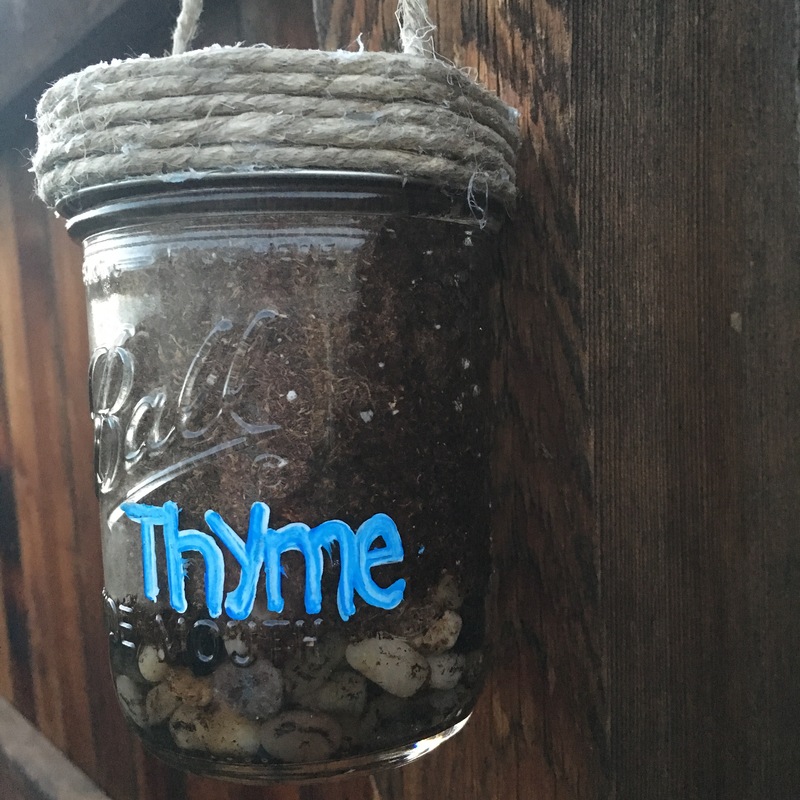 Then I took a sharpie (blue was all I had) and wrote the names of the herbs I was planting on the jars. 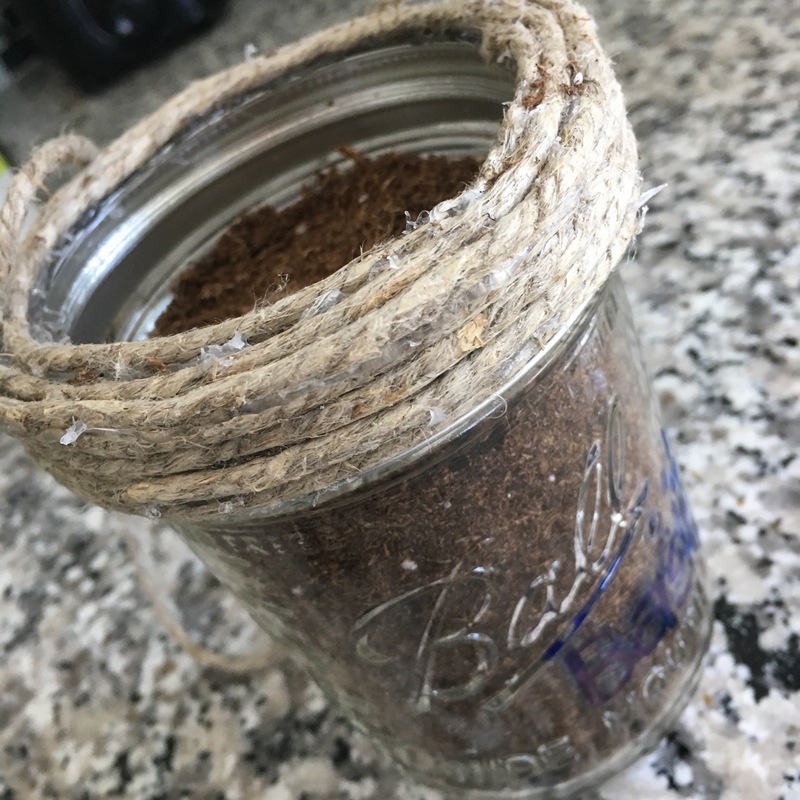 Add some river rocks and potting soil, the seeds, and then another thin layer of soil. And viola! 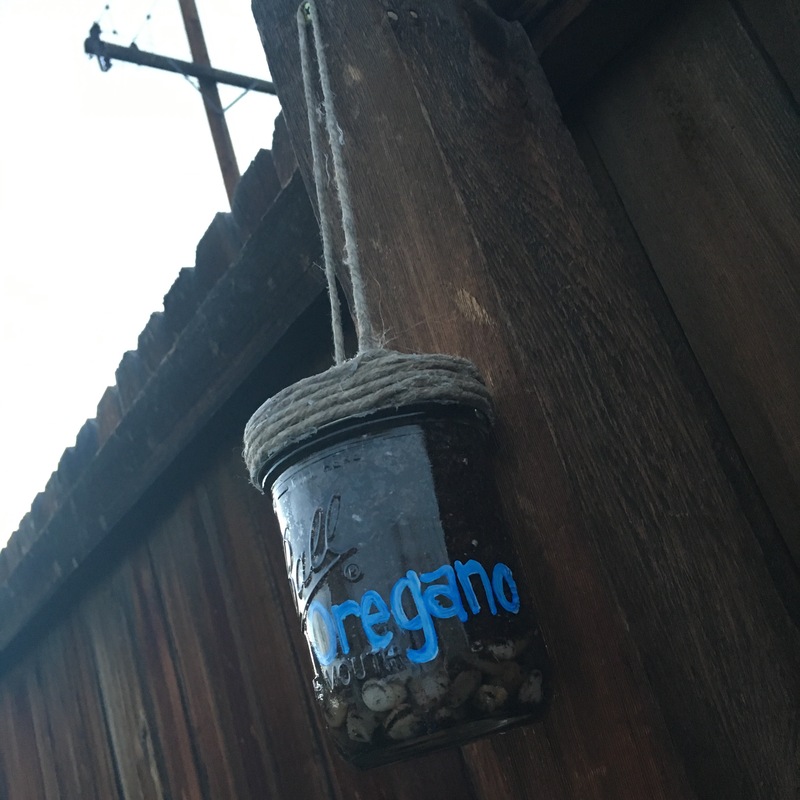 I have some herbs hanging!